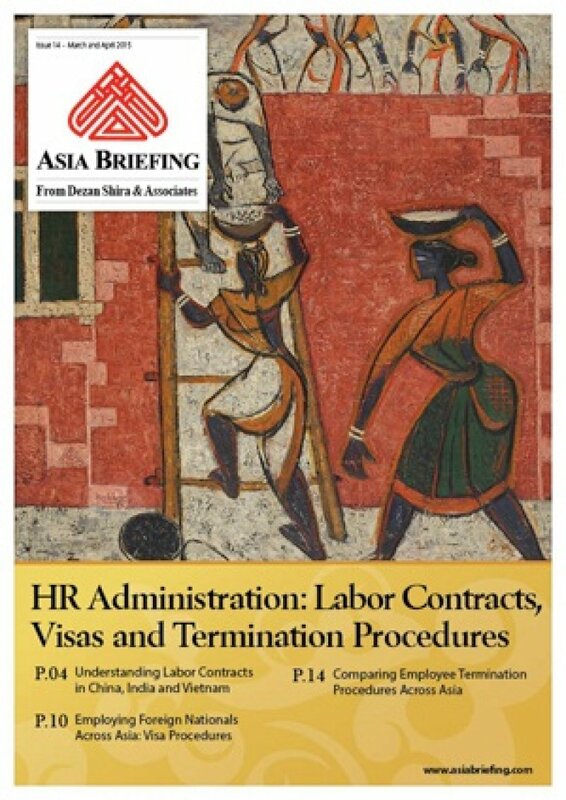 In this issue of Asia Briefing, we set out to provide readers with a basic understanding of how to navigate the HR procedures of China, India and Vietnam. We begin by introducing the most common employment contract structures in each of these countries, as well as their laws for employment probation. We then take a look at the three’s increasingly complex procedures for obtaining work/business visas, and conclude with a special feature on how to legally terminate an employee across Asia. Within the modern, globalized market, maintaining a competitive edge necessitates identifying new growth opportunities and ways of cutting costs. It is for this reason that entering into the Asian market has become more of an essential, than optional, part of a successful business model. In our experience at Dezan Shira & Associates, some of the most important parts of an effective Asia market-entry strategy are hiring the right staff and clearly understanding the associated laws for doing so. While a Western business may have a firm grasp of HR procedures in their home country, companies often find that their established practices have almost no bearing in Asia. Without adapting to and understanding the unique HR challenges of individual Asian nations, firms risk incurring substantial yet completely avoidable losses. Several key Asian destinations for foreign investment have introduced new HR legislation in the last two years alone. With more than 20 years’ experience of managing HR in Asia, Dezan Shira & Associates is well equipped to help businesses understand the region’s various procedures. We hope readers find this issue helpful and informative.